Shanghai Thenow Purification Technology Co.,Ltd. Thenow was established in 2005, belonging to Apureda Group as the wholly-owned subsidiary. Being a standard maker, Apureda Group is a global specialist in the development and production of filtering systems and solutions with 6 production units. As one of Apureda Group’s production units, Thenow’s business is to provide customers with sustainable best in class air filtration products and services. We mainly focus on manufacturing air filters for industrial dedusting, gas turbine air inlet systems and HVAC systems. 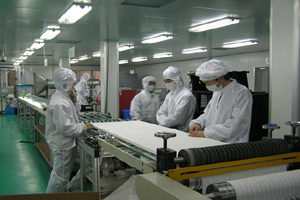 Our business concept is to optimize our product quality and service to be in line with customers` needs. Compared with standard filters, Thenow’s products can reduce the operating costs of filtration systems, by keeping their pressure drop low over a longer time. Our filters can catch more contaminants and operate at lower average resistance because of better designed filter media and larger filter media surface. Thenow’s products are widely used in various fields such as metal processing, chemical industry, painting houses, cement industry,electronics industry, pharmaceutical industry, shipping, gas turbine, and all kinds of HVAC systems. 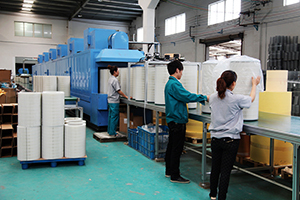 2006: Become high new technology enterprise; Water treatment and air dryer factory established and start production.